A clip has surfaced online of the two actors reenacting a scene from Grease. 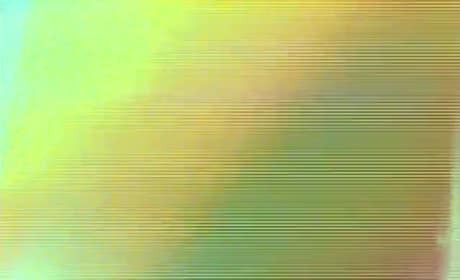 Sources report the clip will be used during the Oscars on Sunday night. The two hosts open about about the big night. They will not be making jokes like Ricky Gervais. Anne Hathaway and James Franco prepare for their new hosting gig in this hilarious promo video. The duo are set to show off their funny side on February 27, 2011. 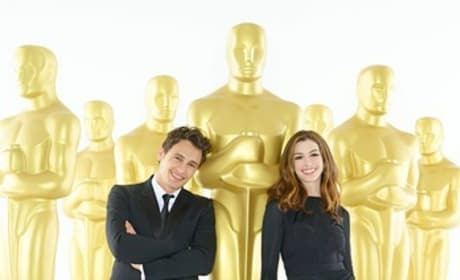 The first promotional photo of Oscar Hosts Anne Hathaway and James Franco has been released. The two young hosts have quite the gig and have been getting lots of advice. Anne Hathaway is an absolutely beautiful actress. She became a well-known actress after her roles in The Princess Diaries, alongside Julie Andrews. Since then she has appeared in Brokeback Mountain, Ella Enchanted, The Devil Wears Prada alongside Meryl Streep, Becoming Jane, Get Smart alongside Steve Carell, Passengers, Rachel Getting Married, Bridewars, Valentine's Day, Alice in Wonderland, Love and Other Drugs, One Day, The Dark Knight Rises and will be starring in 2012's Les Miserables.